Wait 3 days after last mowing the lawn. This will allow weeds to grow and have more leaf area to absorb the weed killer. Apply at 35gms per square metre, either by hand or with a spreader. The easiest way to apply is with a spreader set to the correct spreading rate. If you wish to apply by hand, we recommend you mark out square metres on your lawn using either pegs and string or canes. Wear gloves and sprinkle the product evenly at a rate of 35gms per square metre (1oz per sq yd). Initially, spread the recommended amount over one of the squares and then use this as a visual guide for the remaining squares. Overdosing with fertiliser can damage lawns. Leave the weed and moss killers to work for a day without watering. If it does not rain within the next couple of days, water in thoroughly to get the lawn fertiliser working. Avoid walking on the lawn until it has rained or the granules have been watered in. Keep children and pets away from treated areas until the granules have been watered in. Wait 3 days after application before mowing the lawn. The lawn will become a richer, greener colour within a week. The moss will blacken as it dies and can be raked out after 7-10 days. Weeds will grow vigorously at first and then become distorted and die. Maximum weed control is achieved in about 2-3 weeks. A second application may be required after 6 weeks for lawns badly infested with weeds or moss. Children and pets can use the treated areas once the product has been watered in. Keep grazing pets, such as rabbits, off treated areas for 4 weeks. Do not use this product on newly-sown grass within the first six months or newly-laid turf within the first month, until established. Bare patches can be seeded 4 weeks after applying the product. Clippings from the first four mowings after application should not be used as a mulch. If you compost cuttings, do so for at least 6 months. The product can be used around trees in the lawn but avoid contact with the foliage. Wait until all bulb foliage has died down before applying to lawns with bulbs in. Ferrous sulphate can cause stubborn stains so avoid the product coming into contact with clothing or any surfaces other than the grass. Sweep up immediately if accidentally spilt. To avoid risks to people and the environment, comply with the instructions for use. Use only where there is a recognised need. Do not exceed recommended application rate. KEEP IN ORIGINAL CONTAINER, TIGHTLY CLOSED, IN A SAFE PLACE. KEEP PRODUCT AWAY FROM CHILDREN AND PETS. Dispose of unused product in its container at a household waste site (civic amenity site). Contact your local council (local authority) for details. Dispose of empty container in the dustbin. FOR USE ONLY AS A HOME GARDEN LAWN TREATMENT. Rolawn Groright Lawn Fertiliser, Weed & Moss Killer has been discontinued. 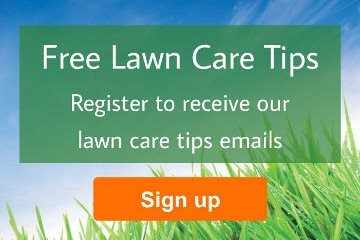 If you'd like to receive tips on how to get the best from your lawn and offers and promotions from Rolawn, click here to sign up to our newsletter.